TM ebill, Streamyx Bill Payment, Streamyx Check Bill, Streamyx Ebill. If our customer want to pay the TM ebill for UniFi. 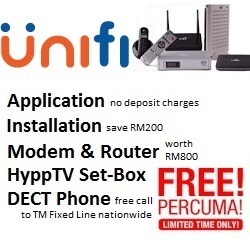 Register Streamyx and Unifi and get exclusive latest update from us. We are the one stop centre for excellent customer service and communication solutions. We aim to deliver cutting-edge communications, information and entertainment services. unifistreamyx.info. Standardize Biz Rules: Implement default Electronic Bill (E-Bill) to New Install (NI) Streamyx and DEL customers. Printed Bill Charges: Implement printed bill charge of RM5 to all Streamyx, TM Phone and Unifi customers. TM E-Bill is free! Customer’s printed bills will be charged RM5 per month starting January 2016. Customer will receive their TM E-Bill faster so they can pay on time to avoid any service interruption. Customer can access to TM E-Bill any time & any where at their convenience. Customer can just login to view their bills up to past 6 months! Help the earth-save trees by avoiding printed bills. As easy step towards being more eco-friendly! Message will display a tree of RM5 per month will be charged if customer opt for choose hardcopy bills. Hard copy bills will be charged RM5 beginning Jan 2016. Customer will receive communication via customer itemized bill. Please disseminate the info to all your frontliners. Any enquiries, please respective PAM. We are pleased to inform all our UniFi high speed broadband customers that you can now view your monthly TM ebill information via the MyTM portal at https://www.tm.com.my/mytm. For TM telephony and Streamyx customers, the TM ebill information feature will be made available at a later date. However, customers can request for a copy of their bill from a TM Account Executive or send an email to TM Online Customer Self Service at tmonline@tm.com.my.